Watch Joey + Rory's music video for "Josephine" and learn how this song inspired a full movie production. 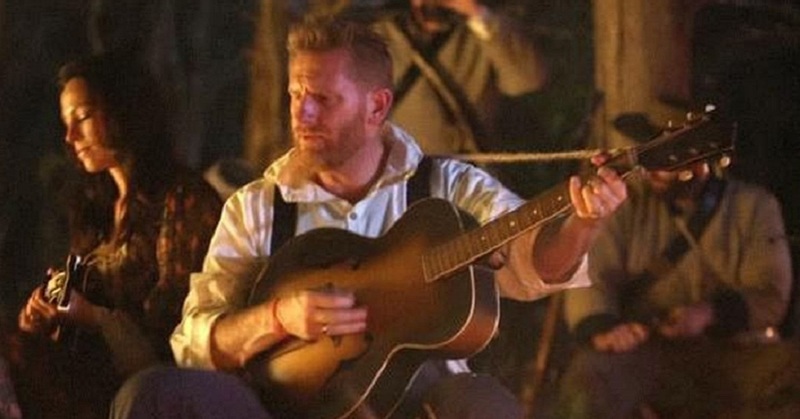 Joey + Rory Josephine was released in 2012 and the lyrics and music video inspired the making of a full movie. Rory Feek had read a series of letters written by John Robison (a U.S. Civil War Confederate Soldier) to his wife back in Tennessee. Rory was touched by these letters that inspired him to write the song “Josephine”. He later recorded the song with Joey for their 2012 Album “His and Hers”. Though we lost Joey Feek in March of 2016 to her battle with cancer, her legacy lives on via her music and wonderful family. Enjoy the music video for “Josephine” and check out the lyrics and learn more about the movie below. Rory Feek collaborated with his friend Aaron Carnahan (who also appears in the music video) to write the screenplay for Josephine and raise the funds to shoot the film. The film project was completed in Halifax County, Virginia and was screened at film festivals as a work in progress. A description of the film includes, “Near the end of the Civil war, a desperate young farmer’s wife enlists in the army, posing as a man. She battles the enemy, the men of her unit and her own identity in a quest to find her missing husband. Check out information about Josephine The Film. Several women did indeed fight in the Union an Confederate armies during the civil war disguised as men. The film Josephine tells the important story of one such woman. It is not very often that a song and lyrics inspire a full movie. The lyrics really do tell a story in this case. And when he’s holding you, won’t you think of me too, Josephine?